Corruption is endemic in many emerging economies. Recognising that some of these countries lack legal and political systems robust enough to root out corruption, the global fight against corruption relies on cutting off bribes at the source. An international Anti-Bribery Convention, championed by the OECD, requires countries to make it a crime to pay bribes to foreign public officials. Canada was one of the earliest adopters of the OECD Anti-Bribery Convention, ratifying it in 1998 and prohibiting bribing of foreign officials through the Corruption of Foreign Public Officials Act in 1999. Yet enforcement action lagged. Canada’s record of two convictions under its anti-corruption laws pales in comparison with the 58 individuals and 28 corporations that have been convicted in the US. Canada’s first case, against Alberta company Hydro-Kleen Systems Inc., for bribing US immigration officials, resulted in a relatively small fine of $25,000 after Hydro-Kleen pleaded guilty. The individuals involved in the case were not sanctioned. In early 2011, the OECD issued a report criticising Canada for failing to enforce its anti-corruption laws. Since then, Canada has moved to step up enforcement. Canada’s International Anti-Corruption Unit, which had been established in 2008 by the Royal Canadian Mounted Police began achieving results. Later in 2011, natural gas company Niko Resources agreed to plead guilty and pay a $9.5m fine for bribing a Bangladeshi cabinet minister with cars and trips. Then, in early 2012, tech executive Nazir Karigar was indicted on charges of bribing an Indian cabinet minister. But perhaps the biggest target of Canadian enforcement action to date has been engineering giant SNC-Lavalin. SNC- Lavalin has been accused of paying bribes in relation to a bridge project in Bangladesh. In April 2012, the World Bank suspended the rights of one of SNC-Lavalin’s subsidiaries to bid on bank projects. Then in June 2012, two ex-SNC-Lavalin employees were charged with paying bribes to a Bangladeshi official. But SNC-Lavalin’s troubles are not confined to Bangladesh: it admitted in March 2012 that $56m in unauthorised payments had been made in Libya. As yet, criminal charges have not been laid against SNC-Lavalin. But these revelations have already seriously damaged the company. Its offices have been searched by police twice, twice exposing the company to the disruption and adverse publicity that a search warrant entails. Its stock price fell by about 25 percent, and it has recently been hit with class actions by its shareholders. Clearly, businesses can no longer be complacent about Canada’s anti-corruption laws. The Corruption of Foreign Public Officials Act is drafted broadly. Unlike the US’ Foreign Corrupt Practices Act, its scope is not limited to public companies listed in Canada. Canada’s rules regarding jurisdiction and service of process operate to limit the Act’s application to individuals and businesses that have a presence in Canada. Similar to the FCPA, but unlike the UK’s Bribery Act, the Corruption of Foreign Public Officials Act only applies to brides to officials of foreign states or public international organisations. It does not prohibit bribes paid to other companies. The Act’s central prohibition is straightforward in principle: it creates an offence of bribing foreign officials. The prohibition is broad drafted in three ways, in order to make it difficult to circumvent it. First, it applies to the giving of anything of value, whether it is a “loan, reward, advantage or benefit of any kind”. Second, it is not necessary actually to complete the transaction; offering or agreeing to pay a bribe is an offence. Third, it applies to both direct and indirect bribes. For example, it is an offence to pay a commission to someone on the understanding that part of that commission will be used to pay bribes. Two restrictions narrow the prohibition somewhat. First, the bribe must be a payment for the foreign official to act, refrain from acting, or to influence an act or decision of the foreign state or public international organisation. 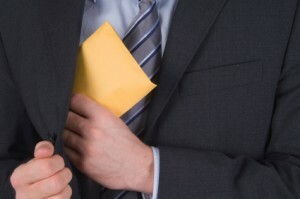 Second, the purpose of the person paying the bribe must be to obtain or retain an advantage in the course of business. In other words, the Act does not apply to a bribe paid by a non-profit entity, or by an individual for purely personal reasons. For example, if foreign police officer stops a Canadian on holiday on trumped up speeding charges in order to get a bribe, the Canadian can pay the bribe without breaking Canadian law. If the Canadian were travelling on business, however, paying the bribe may be an offence in Canada. The Act provides for two defences. The first applies when the payment is permitted or required by the laws of the foreign state. The second applies when the payment is to defray certain expenses of the official. The Act also exempts facilitation payments, that is, payments made to secure performance of routine duties or functions such as issuance of permits, processing of official documents, and so forth. The Act does not expressly create exemptions for routine corporate hospitality (such as meals) or the gifts that are exchanged in some cultures as part of business meetings. Provided that their value is reasonable, and there is no expectation of a quid pro quo, meals and token gifts likely would not be considered to be a payment for the official to take some action, and thus, not an offence. The offence created by the Act is what is known as a full mens rea offence. That is, to be guilty of the foreign corruption offence, the person paying the bribe must have an intention to pay the bribe. The precise nature of the mental element has yet to be delineated by Canadian courts. Likely the requirement to prove intention applies to all elements of the offence. This has important ramifications for corporations when dealing with third parties. A corporation does not commit an offence under Canada’s legislation if its subcontractor pays a bribe in another country, provided that the corporation did not know about it. If, however, the corporation pays the subcontractor with the knowledge that some of the money will be used to pay bribes, then this would likely be an indirect bribe, and thus an offence. Canadian law also equates wilful blindness with knowledge. Thus if the corporation is aware of facts that lead to the conclusion that the subcontractor is likely paying bribes, and does not act, the corporation is at risk of being found guilty of paying bribes. Since corporations always act through individuals, there is also the question of when a corporation will be found guilty of an offence actually committed by one of its employees. Rules for attribution of crimes to corporations are codified in the Criminal Code. Basically, the corporation will be guilty of an offence if an employee who has an important role with the company is involved in the offence, or if the corporation knows that one of its representatives is involved, does not take steps to stop him or her. Because of the broad scope of Canada’s anti-corruption law, it is not necessary that the employee paying the bribe be Canadian or have a connection with Canada. So long as the corporation has a presence in Canada, if one of its senior employees anywhere in the world pays a bribe that is connected to the corporation’s business in Canada, that corporation may have to answer to Canadian law enforcement. One feature of Canada’s legislation that has been criticised is that it does not expressly apply so-called ‘nationality jurisdiction’. Canada normally applies territorial jurisdiction to criminal law, and the Criminal Code expressly provides that no one shall be convicted of an offence committed outside of Canada. While this rule can, and has, been overridden for particular offences, nothing in the Corruption of Foreign Public Officials Act expressly applies Canadian jurisdiction to bribes paid abroad. It is at least arguable that unless the bribe was offered, agreed to, or paid in or from Canada, there is no offence under Canadian law. So how to businesses ensure that they are compliant with anti-corruption laws in Canada and elsewhere? First, businesses with a presence in Canada need to be aware of Canadian anti-corruption laws. Indeed, businesses need to be aware of the precise requirements of the anti-corruption laws in all countries in which they operate. Second, businesses need to design, implement, and enforce a compliance regime to reduce the risk that rogue employees will pay bribes. Ideally, such policies will include: (i) clear anti-bribery policy, supplemented by guidelines or policies on hospitality and gifts, and procedures for management to take to deal with suspected bribery cases; (ii) communication and training programs for employees; (iii) a requirement that employees comply with the policy under pain of disciplinary sanctions; (iv) whistleblower mechanisms, such as a tip line; and (v) monitoring and audits. Third, businesses should include anti-corruption clauses in contracts with key partners. These clauses should include, at a minimum, a requirement that the partner not pay bribes in connection with the subject matter of the contract. Ideally, they will go further, and require the partner to certify that its entire organisation complies with anti-corruption laws, and provide a right to audit compliance, at least in relation to the subject matter of the contract.